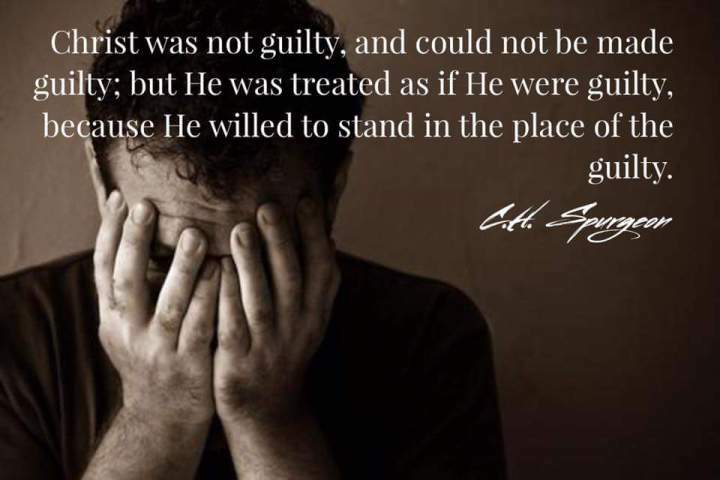 Christ was not guilty, and He could not be made guilty; But He was treated as if He were guilty because He willed to stand in place of the guilty. Posted on 17 Dec 2016 by Crusty	• This entry was posted in christian, christianity, Faith, spiritual and tagged Christianity, christians, devotional, Inspiration, spiritual. Bookmark the permalink.